The craze in the app world is about the reading and text editing apps, not only for smart phones but for tablets as well. By seeing this demand by users, Apple Inc has started to introduce more in this field, the apps and the software that will help the readers do what they wanted with such apps. Reading, writing, technical writing and editing, etc., have all become very common. Those who do not even have laptops will make use of these apps on their phones and tablets by Apple Inc to make sure they are not left behind their profession and job. 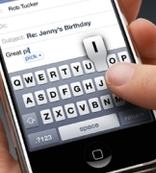 The iPhone and the iPads are also coming equipped with the pro versions of the text editors, readers and even writers. However, to know more about the full functioning apps and programs, you have to make sure you are downloading the right stuff, to save the memory space, your credit card limit and the time for the app downloading. Some of the apps are as follows. By reading about them, you would be able to know which are good for you and which may be just a waste of time and financial resources. a) Good Reader: This app is a text and media file reader for both the iPhones and the iPads. 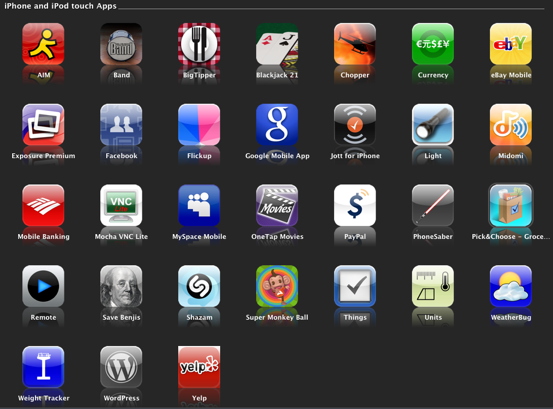 Such an app is simpatico with the iPhone 4 and the iPad 2. All you do with this app is reading, and edit the text documents. Listen to the media files etc, with this app. It has the facilities of bookmarking, annotating, highlights over texts and viewing the texts as well. It has the speedy functions for loading any page online so you do not have to wait your entire life. b) Evereader: This is also a text reading and editing app. Developed by the company, Perception Systems, this app supports the documents with extensions like HTML, Apple iWorks, RTF, MP3, MP4, MS Office Excel, PowerPoint, Word etc. A very basic app with such features makes it loveable by users the most out of the list of text-based apps. As the pro version is already installed in the iPhones, you can get the full version from the iTunes. The full version enables the PDF file creation and editing facilities as well. The app also helps the users download edit and upload the work on the iCloud through this app as well. Now you do not have to worry if your files are corrupted. You will have an automatic copy saved on the cloud through this app. c) SimpleNote: this app has all the features of the Evernote from the Blackberry app store. It not only helps you edit the text documents but also helps you in managing all your reading material. It is a multi tasking enabled app, with windows for the different documents you open and can simultaneously edit or use. For more apps, visit the iTunes store and there you will be able to find more free text apps and software. Author Bio: This post is written by Najeen Zahoor, who is a freelance writer and technology blogger. He has written several posts on latest iPhone apps, gadget accessories like iPhone 4s covers, cases and on Smartphone safety tips.